It is uncommon to find a blogger who doesn't use Bloglovin, but the question is...do they know how to use it in an advantageous manner? Bloglovin is a website I use to keep track of all my favourite blogs. It is really simple to use, you just search for your favourite blogs, click follow and then you will automatically be able to see the latest posts from all the blogs you follow in one place. 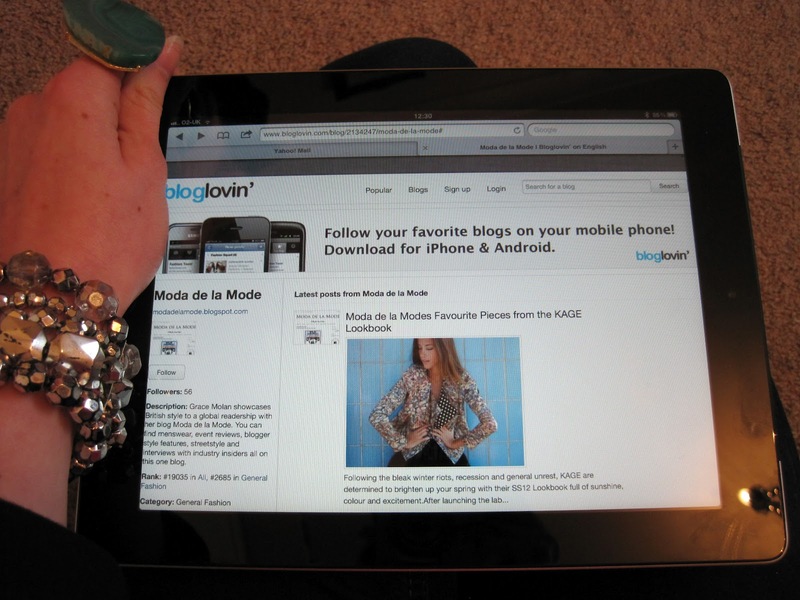 No more searching around the internet to find new posts, it is all available through Bloglovin. When you land on a blog's Bloglovin page, you can immediately see how often they post, how far up in the Bloglovin rankings they are and blogs which are similar. It is so easy to discover new blogs from all across the world and it is not just fashion blogs which make an appearance on the site. I have discovered many lifestyle, art, food and travel blogs which I love and read often. If you haven't already, make sure that you join Bloglovin as it is such a fantastic platform for bloggers to use. It has certainly made my life easier and I have discovered some of my favourite blogs through the site. It is also nice to see the stats about your blog which you may not have been aware of before. If you have Bloglovin, don't forget to follow Moda de la Mode to be kept up to date with all the latest posts and of course, leave a comment underneath this post if you do follow Moda de la Mode on Bloglovin so I can follow your sites too. hi! i just found your blog and so glad i did! this is such an amazing post and i your style of writing! you just gained yourself a new follower! keep up the great work! If you have the time, we would appreciate it if you could check out our blog! i will definitely follow you on bloglovin too!